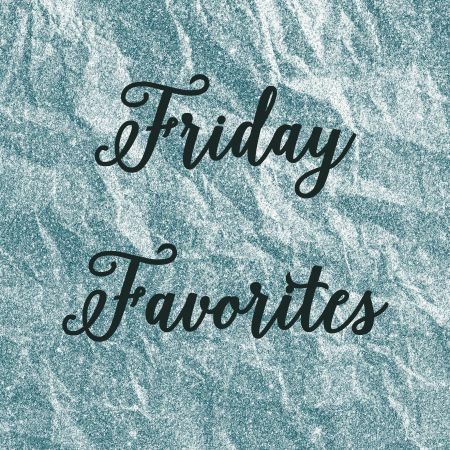 Like I do every Friday, I’m linking up with Heather to share my Friday Favorites. Please send some extra special prayers and thoughts to Heather, who’s going through some tough things right now. Going home. – Today my hubby Scott and I are traveling to Iowa to see my parents for “Christmas.” We did Christmas Day in the ‘burbs with his family, so we needed to get back to Iowa to see my family. (We did Thanksgiving with my family, so it’s not like it’s been forever since we’ve seen them.) Unfortunately it’s going to be a smaller gathering since my aunt can’t make it, but it should be nice and pretty low-key. I think we’re going to do a brunch on Saturday, then Scott and I have to head back to Chicagoland so I can make it to my friend’s wedding dress fitting (!). Pretty excited about that, too. Then, I had two great surprises: Dana, a former co-worker from the running store and Joanna, one of my classmates from my yoga teacher training came to take my Thursday night yoga class. I stayed after class for a while catching up with Joanna, which was so wonderful because I haven’t seen her in a while and this girl has the most amazing, giant, caring heart. It made me miss all of my teacher training cohort–we had a really great group. Getting to take a vacation – My big news from last weekend is that I’ll be taking a last-minute working vacation to Florida next weekend (!) for a mini-retreat with my business coach. I got really cheap airfare ($150 roundtrip, baby!) and will be staying with Scott’s aunt and uncle in Clearwater Beach, which is the only way I could afford to take the trip. But, I’m excited to get a lot done and to figure out ways that I can make some income while still providing incredible value. I don’t like to talk about money on the blog, but I’ll be honest–money is really tight for me right now, so it’s important for me to find ways that I can provide services with a lot of value so that I can pull in some extra income but still stay in line with my mission to help people create better lives through fitness and healthy living. This working vacation should help me with that. When’s the last time you took a vacation? Yay for mini-vacations! It’s definitely hard to justify splurges when money’s tight, but it sounds like you found a great deal and way to make it work! Sometimes favorites pertaining to seeing loved ones are the best kind. <3 Soak in that time with your family! And, thank you so much for the love and support this week. It really does mean a lot. Love all of these. I’m so glad that you are getting to see people and take trips that are truly important to you–those are always my favorites, Friday or otherwise 😀 Have fun at home! That’s awesome you are getting away for a bit! Enjoy your time off. Last time I took a “vacation” was when we went back to VA but I’m going to have a REAL vacation coming up in March and then May or June. March we are going to hang out w Neil’s family and rent a beach house in Malibu and then I FINALLY get off 5 years of probation in May so we are like PEACE OUT USA and are going to flop around on an island somewhere! That working vacation sounds like a GREAT plan! I love it – and I absolutely love your mission for your blog and business. Keeping sight of that will help you huge, I’m sure of it! Have a great time in IA and in FL! I have some trips coming up that I am so excited about. Looking forward to things helps me get through the winter and my post breakup misery. Better yet, a work trip (fully paid for) is sending me HOME in a couple weeks so I get paid and I get to see my family! And then hitting the beach in FL to visit my aunt in March. Out to Big Sur CA for a marathon in April and possibly a big trip to Greece for my 30th birthday in June! I am not bragging, I am just SO EXCITED! I need more a little sunshine in my life. I’m so glad I stumbled on your blog through Friday Favorites today! I have loved catching up with old friends recently too – even if its just over the phone. Have fun on your ‘mini’ Christmas!